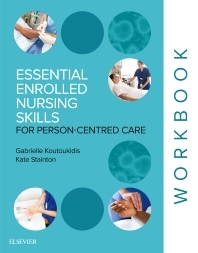 The Essential Enrolled Nursing Skills for Person-Centred Care, 1st edition, workbook is an indispensable tool that will assist students in mastering the clinical skills required to deliver the highest-quality care. Specifically developed to support Tabbner’s Nursing Care: Theory and Practice, 7th edition, the workbook features the essential skills that form part of the assessment for Diploma of Nursing students. Based on evidence-based practice, each skill features a step-by-step approach and rationale to help understanding of how and why a skill is performed.